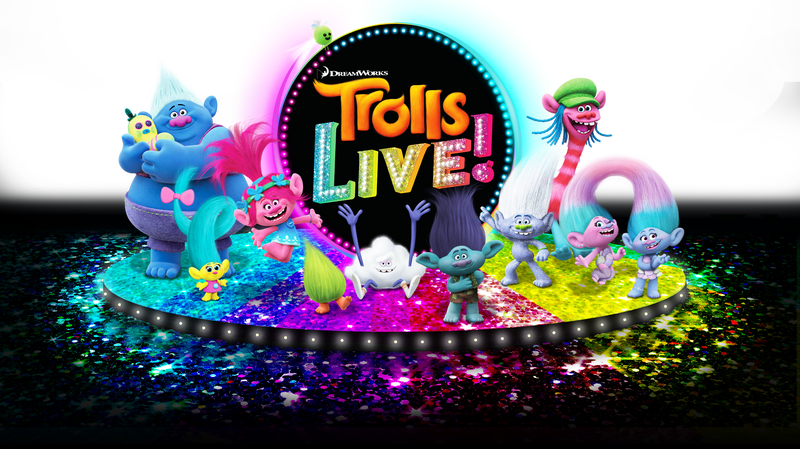 Okay, who wished for the Trolls movie to become a touring live musical stage show? It couldn’t have been a child because children only know Trolls as those hideously colorful computer-animated creatures in a movie made by DreamWorks, and not as the little Cronenbergian plastic nightmare things that encouraged kids to believe in things like “making wishes.” Whoever’s responsible probably doesn’t matter at this point because the Los Angeles Times reports that Trolls–the movie, not the toys–is becoming a live stage show. Trolls Live! will begin its reign of terror across the United States this fall, bringing music, mayhem, and, uh, hugs, to an event venue near you. The tour will kick off this November, targeting 60 cities across the U.S. with an original musical story and (presumably) plenty of overpriced merchandise to ensure parents remain enslaved to the monstrous but fleeting whims of children. Trolls Live! will feature “New music, scenic projection, puppetry, media technology, special effects and interactive surprises” for both children and adults (allegedly). And for those concerned that this might be a meaningless sensory overload, there is indeed a story: It seems that the Trolls’ hourly “Hug Time” activity is under attack, so Poppy (the one voiced by Anna Kendrick in the movie) decides to rally the rest of the Trolls to put on “a toe-tapping, Trolls-tastic show.” As for who specifically is threatening to ruin “Hug Time” and how exactly a Lisa Frank-esque shindig will save it remains unclear, but I guess that’s how tickets are sold.